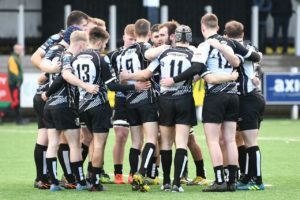 Pontypridd Youth resume their Blues Premiership campaign on Saturday 8th September with a first home appearance of the season against Rumney Youth, the match at Sardis Road kicking off at 5pm. The Ponty youngsters got off to a winning start the previous weekend, battling to a 10pts to 13 away win at Penarth. A solitary try was scored by Sonni Williams with Lloyd Dennett adding a conversion and two penalties. Just two games into the new campaign, the clash against Rumney already has the makings of a crucial encounter for Pontypridd. The Cardiff based side were crowned as Blues A champions last season, but second placed Pontypridd progressing to the regional play-offs to eventually be crowned as national champions. Rumney Youth won their first match of the new season, claiming a home victory over Merthyr by 24pts to 19 the previous weekend. The Pontypridd Youth v Rumney Youth match will kick off at 5pm, following the Pontypridd v Llanelli Premiership match which kicks off at 2:30pm, offering supporters a great afternoon and evening of live rugby at Sardis Road.